Come join the fun! Registration for Girls on the Run now open for 3rd-6th girls! The CMS GOTR team will meet after school on Tuesdays and Thursdays from 3:30-5:00. Thanks to the Chadron Public School Foundation, Chadron tuition is $50 for the season. Tuition includes GOTR sport pack, water bottle, t-shirt, curriculum and 5k entry. Scholarships are available for those on free/reduced lunch and anyone else in need. Please see Ms. Marshall for details. Must register by February 20th. 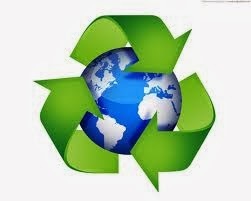 The Washington DC kids group is still collecting small ink jet cartridges for recycling. You may drop these off at Bank of the West, Pump & Pantry or with Kristol Cummings. 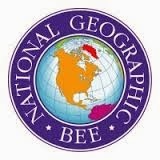 Congratulations to Zach C. and Kaylie E. for finishing in the top two of the school round of the National Geographic Bee. Zach was the overall school champion and won the opportunity to take the written test that could qualify him for the state round. Thank you to all of the students that competed in the CMS National Geographic Geography Bee. Congratulations to Claire M., Sam R., Nick W., and Jacob L. for finishing in the top four during the CMS History Bee that was held on Tuesday, January 14th. Claire won the event by being the first to correctly answer five questions. By finishing in the top four, these students qualified for the opportunity to take an online History Bee test, which will determine qualification for the regional competition. Click on the link below for examples of the questions that they were asked and take the quiz to see how well you would have done. Have fun! Thirty-three 8th grade students in Mrs. Waugh's 8th grade English class have been accepted to have their work published in an anthology by poeticpower.com. Congratulation to: Megan S., Ron B., Coy, B., Sarah B., Zach C., Kat D., Dana D., Magdalene E., Pamela F., Kylee G., Teresa G., Hunter H., Ricki H., Caleb H., Beau J., Drew J., Hannah K., Carah K., MiaKayla K., Taya L., Cody M., Joseph M., Mumbi S., Aubree N., Martin P., Renee R., Sam R., Brooklyn S., Mark T., Clayton V., Nate W., Jodi W., and Nick W.
Parents of K-12 students attending Chadron Public Schools: If you are employed by a Federal agency, work on Federal property, or are a member of the Armed Services, we would appreciate your cooperation and participation in this application by filling out and returning the surveyby Friday, January 10th. Chadron Middle School is in the process of fundraising and seeking grant opportunities to move the middle school playground to west side of the building. Relocating the playground will allow the school to make better use of the existing outdoor space while enhancing student safety during the day and improving parking during activities that are held at the school. For more information about this project, please click here. Box Tops for Education is a great way for everyone in the community to support this project. All you need to do is clip box tops off of products that participate in Box Tops for Education (click this link to see a Complete List of Products) and bring them the to the middle school office. It really is amazing how quickly these add up. If you know people who might like to help out in this way, but don't keep up with the CMS Principal Blog or CMS Facebook page, please let them know about our project. Word of mouth is a powerful fundraising tool! Thank you for your support and if you have questions about Box Tops for Education, please call the Chadron Middle School office at 432-0708. Below is a link to a letter that was written to the parents of 8th grade students. The letter outlines the due dates for major projects that will be assigned during the second semester. This letter was also attached to the students' report card that was sent home on Friday, December 20th. If you have any questions, please contact your student's teacher. Happy New Year! Below is a list of events that will take place over the next two weeks at CMS.